Honda Cars Philippines Inc. is on a roll at the moment. So far, this will be the fourth (4th) new Honda that I’ll be reviewing this year. In an unprecedented move by any company, Honda has kept the media and the consumers busy, launching model after model, and we aren’t even talking about the HR-V small SUV that’s going to be launched in 2015, so why the fuss? Well, Honda Cars Philippines, under the new leadership of Toshio Kuwahara, is on a product offensive this year in an aim to remain competitive and keep up with other brands that have been releasing different models in untapped segments, and so far things have been successful, spearheaded by the launches of the game changing Honda City and Jazz, which essentially raised the bar on quality, features, refinement, solidity, pretty much everything you should expect in a subcompact car. What’s missing in Honda’s line-up is a car in the supermini segment. Mitsubishi has launched the Mirage, and Toyota has launched the Wigo, and both cars proved to be very successful, generating huge sales numbers for both companies. Honda of course, won’t rest on its laurels just yet, now that they have launched their supermini segment fighter, the Honda Brio. The Brio isn’t an all-new car, having already been released in other parts of Southeast Asia since 2012, and when I first saw the pictures, I had mixed feelings about how it looks. 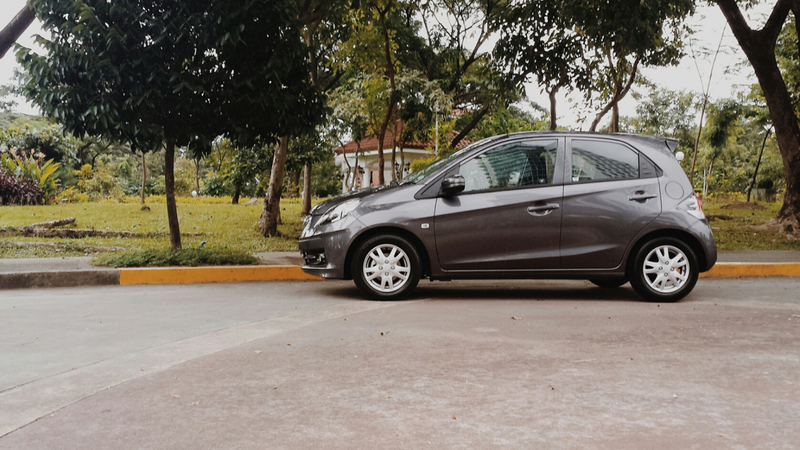 In person though, the Brio looks fresh and sporty. The grey paint on this test unit doesn’t do justice to its looks, but in blue, it looks very interesting. Its proportions remind me of a go-kart, having a short but wide stance, and on paper, should prove to be a more fun to drive small hatchback compared to its rivals. To the side, a bold crease that runs from the back towards the front bumper makes it looks compact and lively, while at the rear, a glass hatch keeps it looking funky. When closing the doors, a thud that is more reassuring than its competition is heard, owing to the “more premium feel” that Honda has been talking about, though you still won’t mistake it for a Honda City or a Jazz. All these exciting design elements are no coincidence, since Brio is an Italian word for lively. Back to those photos I saw when the Brio was launched in Thailand. I also initially thought of its interior to be ugly. Thankfully, the Philippine market’s Brio’s interior is in black, which in my opinion looks far better than the beige that Thailand is receiving, as the black interior brings a more contemporary and sporty vibe. 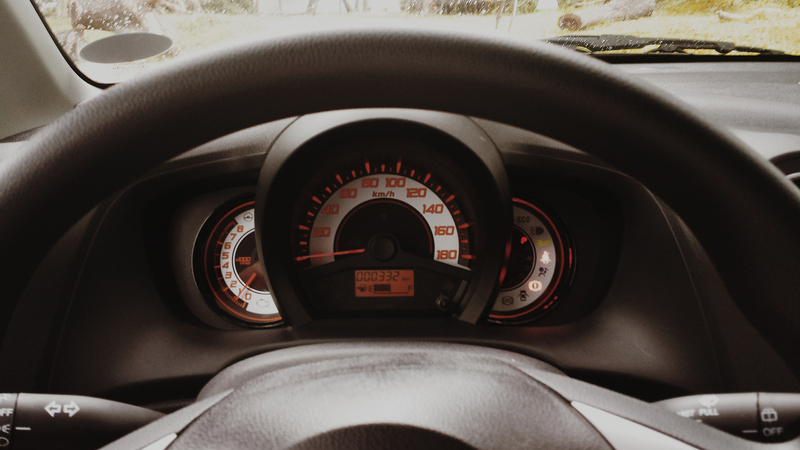 Like in most Hondas, the dashboard is angled towards the driver. Plastics used in the cabin feel a bit more upmarket compared to those of its rivals, as it gives a more reassuring sound when giving the plastics a good knock. Buttons, switches, and stalks also feel substantial, probably even lifted from the previous generation Honda City or Jazz. The rotating AC vents are of my particular interest, as they truly feel substantial when making adjustments with it. My only gripe would be the glove box’s design. When I first saw the interior pictures, I seriously thought it was a manufacturing defect, since the glove box was not flushed into the dashboard’s design. Storage places are generously placed at the front the cabin, with generously-sized doorbins and pair of cupholders at the front. Remember the glovebox I talked about? Because of its design, it is a generously sized one, and later, we’ll talk about why that was the chosen dashboard design. Driving position is spot on, and there are plenty of adjustments for any type of driver to get comfortable with, perhaps except for the steering which only has tilt adjustment, which is expected for this segment. 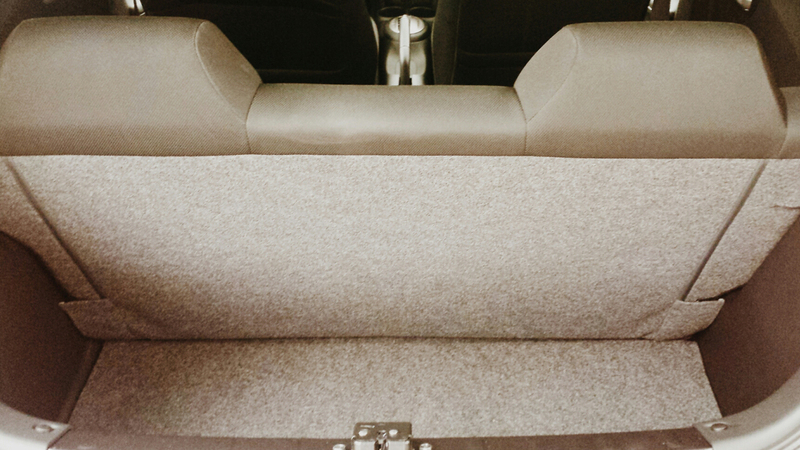 Surprisingly, despite being one of the smallest in its segment, it has a fair amount of rear seat space. 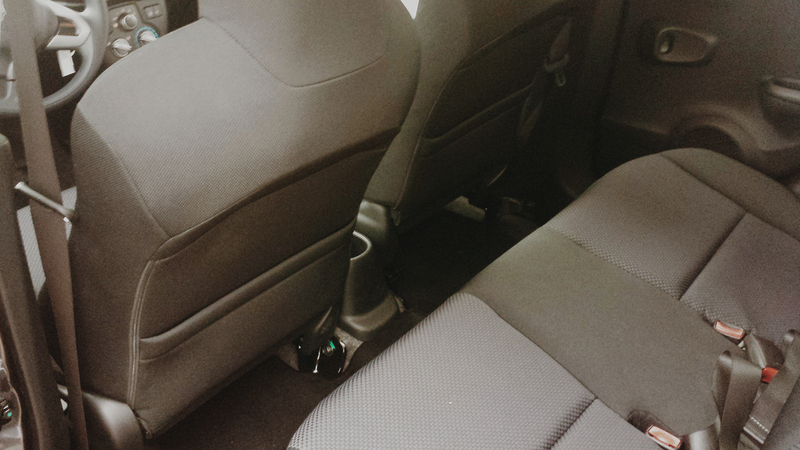 It is wide enough for 3 adults, and with the front seats in my driving position, legroom is still generous. This is thanks to putting literally everything in the interior on a diet, carving out a few inches of space on wherever it is applicable, including the dashboard’s size, which was also reduced in order to accommodate bigger people in front. The seats are also slimmed down, yet they still feel fairly comfortable on long journeys. I particularly like the way the door openings are designed, and Honda says it is one thing they particularly paid attention to, making entering and exiting the vehicle easy. If there is a segment that is heavily constested in terms of features, I would say it would be the supermini segment. 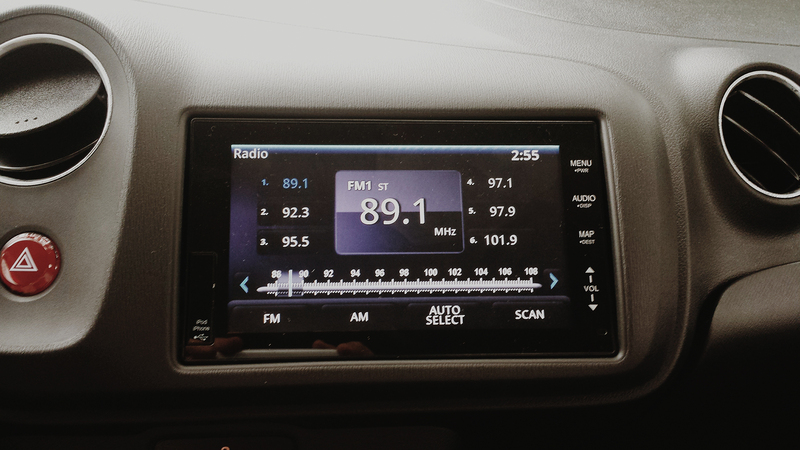 This segment is so fierce, literally truckloads of features from higher priced cars are carried down to this segment, but most of the time, companies tend to forget about things like ergonomics, user-friendliness, and intuitiveness of how these features are used, mainly caused by the use of third-party infotainment systems by its rivals. Thankfully, the Honda Brio does not follow that fate. A touch screen head unit that is intuitive to use is laid out on the center panel, though touch response is not as fast as the one from Honda’s almost universally acclaimed Display Audio system. 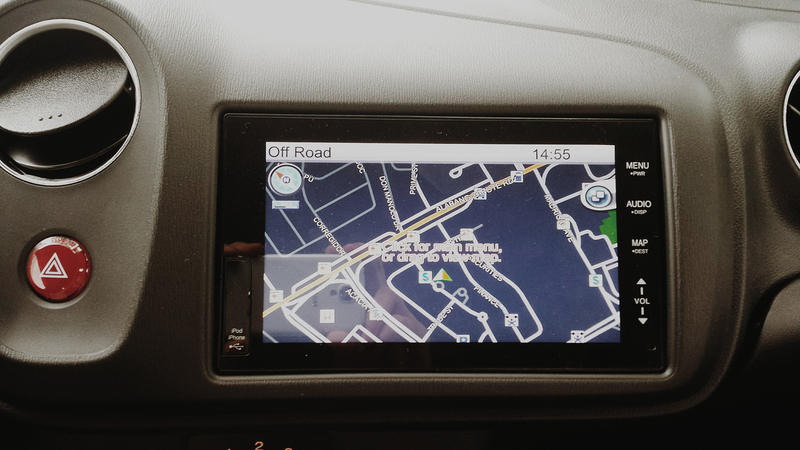 A neat trick of the Brio’s infotainment system is its Wi-Fi capability. Other features that are standard on all variants include an ECO light indicator, power door locks, mirrors, and windows, and a digital fuel gauge. Safety hasn’t been scrimped on either, with all variants having ABS with EBD, Honda’s G-CON body structure, and dual SRS airbags. It’s in the powertrain where the Brio truly shines. It is powered by an inline-4 L13A 1.3 liter i-VTEC engine, producing 98 hp @ 6,000 rpm and 128 Nm of torque @ 4,300 rpm, mated either to a first in its class 5-Speed automatic transmission, though a manual is also available. Sounds familiar? It is the same powertrain combination from the previous generation of the Honda City and Jazz, which are bigger cars, and fitting this powertrain combination to the smaller and obviously lighter Brio should make things very interesting indeed. Because the Brio has a 4-cylinder engine, unlike the majority of its rivals that have a 3-cylinder engine, the engine note is refined, and being a Honda, it sounds racy as well, and this places it together with the Grand i10, another supermini with a 4-cylinder engine, as the two superminis with the most refined powertrain. Thanks to the short gearing, of the 5-Speed automatic transmission, acceleration is quick off the line, and the power advantage can really be felt. Most reviews claim that this is the only supermini that accelerates from 0-100 km/h in under 14 seconds. If things become too fast for you to handle, nice progressive feeling brakes are there to stop you. Because of the Brio’s short length but wide stance, the Brio has the athletic credentials that the vast majority of its rivals lack, proving that driving a car in this part of the market doesn’t need to be as entertaining as watching paint dry. Body control is better than most, and the steering feels quick and precise when tackling corners. Further contributing to the car’s athletic credentials is the car’s excellent body rigidity. The Hyundai Grand i10 is also a very fun supermini to drive, but because the Honda Brio has a bit more power, it also makes it just that bit more addictive. Now, onto more sedate driving. 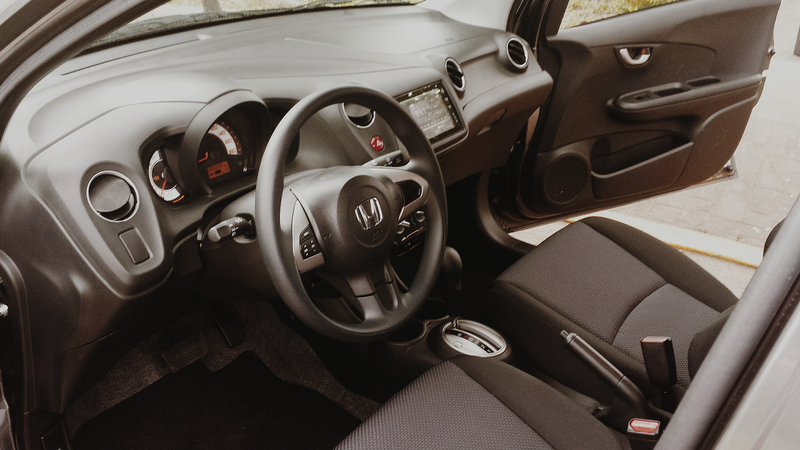 Out on the open road, the Honda Brio’s cabin is much more insulated from tire and road noise compared to the Mitsubishi Mirage and Toyota Wigo. However, wind noise is still very noticeable, which is a shame, because if wind noise has been well insulated, it may well be one of the most refined superminis on sale. 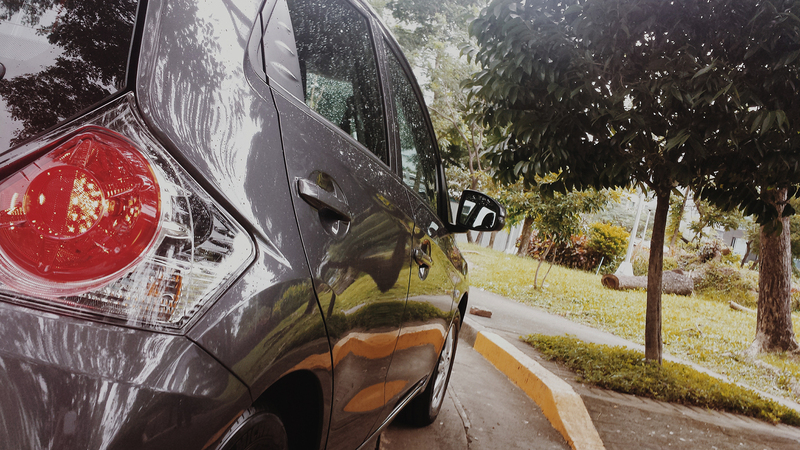 What I didn’t expect here is how well the Honda Brio deals with bumps and potholes for this type of car, avoiding the crashing and banging sensations you get from some of its competitors, and because of the body’s overall rigidity, nothing squeaks or rattles. 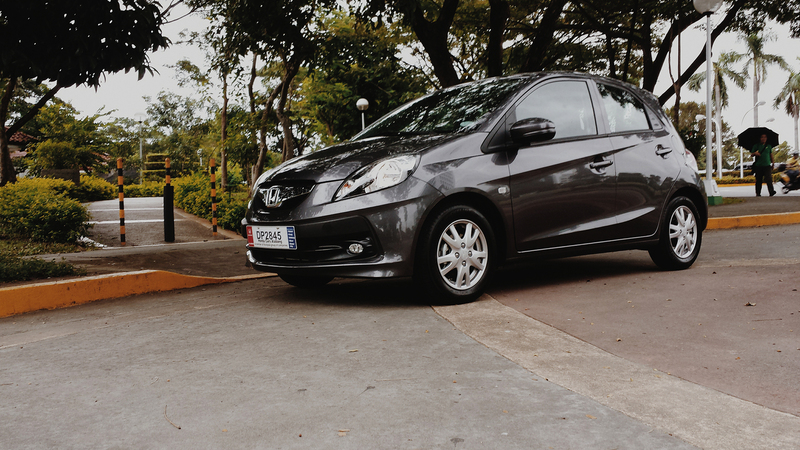 How do I sum up the Honda Brio’s driving manners? 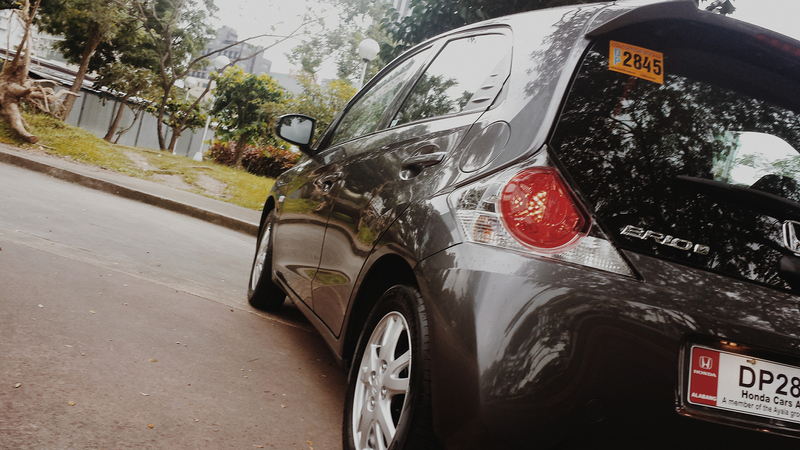 It almost feels like a previous generation Honda Jazz, which is obviously bigger than the car we’re dealing with. As this drive was predominantly made in the city, I haven’t truly tested out how it fares under overtaking maneuvers in a highway or on a two-lane road, but having already driven a Honda Jazz with the same powertrain combination, I had no problems overtaking with it, and given that this powertrain combination has been fitted to a much smaller and lighter car, then overtaking on highways shouldn’t pose a problem to the little Honda. 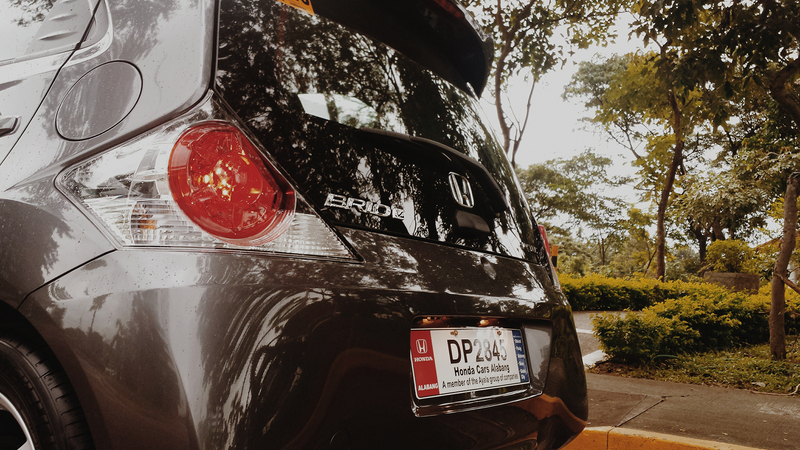 Based on the odometer reading, the Honda Brio has only travelled for merely 300 kilometers, meaning the engine is still tightly built, and as a result, 10.3 km/l was my average fuel consumption around the city, which includes a bit of spirited driving. As good as it is to drive, it isn’t the most versatile of superminis out there. 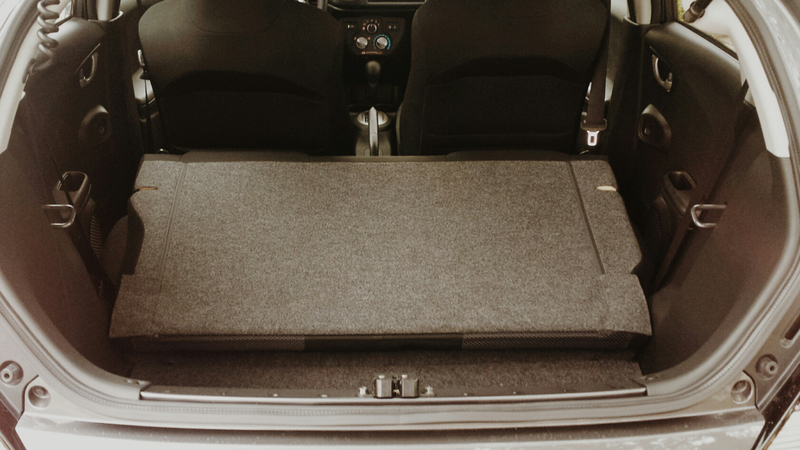 When you are buying a small car, space is certainly on the top of anyone’s priorities. While the Brio is certainly a little bit smaller than the Mirage, and almost just as small as a Toyota Wigo, the Wigo still has a bigger boot, 88 liters bigger to be exact. Put a laptop bag and two suitcases in the Brio’s boot, and there you have it, the boot is almost full, ready to leave the remaining luggage of four (4) of your travelling companions, but wait, there might be a saving grace. The seats fold down, but apparently, doesn’t split 60:40, which unfortunately leaves you with a choice on who or what to take on your holiday trip, your friends, or your friends’ luggage. Though the Brio’s interior plastics feel substantial and more premium than its rivals, it still somehow falls short compared to the Hyundai Grand i10 in terms of tactile quality. The rear power window switch in particular feels old school compared to those in the front doors that seem to have been lifted from the Jazz or City. The rear glass hatch, though it looks good in my opinion, is a bit fiddly to operate, and feels a bit flimsy compared to traditional rear hatches, though be assured, it is durable because I once accidentally slammed it literally to a shut on a different vehicle and the rear glass hatch didn’t even budge. Another downside is the price. At P729,000, the Honda Brio isn’t cheap, and though the price premium is justified by its powertrain combination and mechanical engineering that is literally lifted from the previous generation of the Honda City and Jazz, it is going to be a very hard sell to the practical and value seekers. The Honda Brio feels like a previous generation City and Jazz, which is appropriate, since Honda has removed the 1.3 liter engine option in their new City and Jazz duo, and apparently, this is really what they are aiming for. They moved the two vehicles literally upmarket, it has left an open gap below its line up, now filled by this little Brio and its sedan version, the Brio Amaze. While it certainly does feel premium than some of its rivals, it is premium in areas of the vehicle that will be hard for the practical and value seeking buyers to appreciate, which is further compromised by its small boot space and less versatile interior than its rivals. Think of the Brio as a niche, filling the gap between customers who desire a Wigo or a Mirage and those who desire a City or a Jazz, and its existence in the market starts to make sense. It covers a niche for those who simply want a fun to drive car, but doesn’t want to shell out a lot of cash for a new Honda City or Jazz. Given that HCPI only aims to sell a modest 300 units a month of the Brio and Brio Amaze combined, its market positioning is now understood. Hi! It’s my first time to buy a car and my first choice is honda brio amaze. Having very little knowledge about automobile technology, i have decided to read comments and reviews about it. Why do you think this particular model is getting negative ccomments and reviews? as a car expert, what would be your top convincing points about amaze that will make me want to buy this model? Thank you and more power! The reason why the public is having negative to mixed thoughts about this car is because of its price. The Brio isn’t a bad car. As a matter of fact it’s a very good one at that, especially in the fun to drive department, but there are choices there that are more sensible. Sure, the Brio twins may be a fun car to toss around, but it’s hard to live with the compromises such as a small-ish boot and not so flexible rear seating. The Brio Amaze is something a bit hard to recommend as well, given that it’s priced more than the bigger Toyota Vios 1.3 E variant (both AT and MT), but given that the former is more fun to drive, and being the top trim variant, it also has the bells and whistles, in my opinion I think it has the better offset of its high price tag when compared to the hatchback and even the 1.3 E Vios. Thank you for the helpful and enlightening tips. Will dedinitely go for brio amaze! 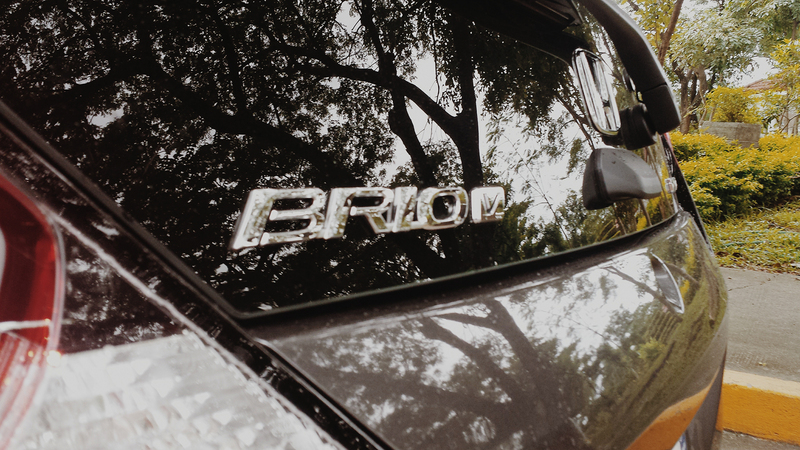 is the brio amaze 1.3 more powerful than the vios 1.3. i notice that it has higher hp and torque. Yes it really is more powerful than the 1.3 liter engine of the Vios, and this also makes the Brio the fastest of all the superminis like the Mirage and Wigo. It’s actually the same 1.3 liter engine of the previous generation Honda City and Jazz. Sorry for the very late reply. I am currently busy as our finals week is fast approaching, which, unfortunately, has also prevented me in updating Go Flat Out. I’ve also read this issue on forums, but they (including me) mostly think that Honda’s glass hatch is tough because even if it’s slammed shut, the hatch doesn’t budge. If the glass spontaneously breaks, I assume it may be caused by thermal shock, which happens whenever there’s a sudden shift between a cold dry environment and a hot humid environment. This happened once to a Mazda 6 of someone I know. When he opened the garage door, the glass suddenly shattered.